Norman's May Fair Arts Festival is held annually at Andrews Park, just north of the University of Oklahoma campus, and features top area performers, fine art, crafts, great food and more. Organized by the Assistance League of Norman, a nonprofit, charitable organization of women community volunteers, May Fair marked its 42nd year in 2016. Get information below on this year's event, including directions and details on the May Fair 5k race. Norman's Andrews Park is downtown, a beautiful and historic park with an Amphitheater, playground, walking course and more. Metro residents will follow I-35 south to Norman and exit east on Main Street. From Main, take Webster Avenue north. Norman's May Fair Arts Festival features over 100 artists and craftsmen from many states, offering buyers fine art and handmade crafts. To apply as an exhibitor, see assistanceleagenorman.org. As with all the other similar festivals in the area such as the OKC Festival of the Arts and the Downtown Edmond Arts Festival, one of the big attractions is the fair-style food. In addition, there will be a number of local entertainers performing in the amphitheater, art activities and education for the kids and other special events such as the USATF-certified May Fair 5k run. 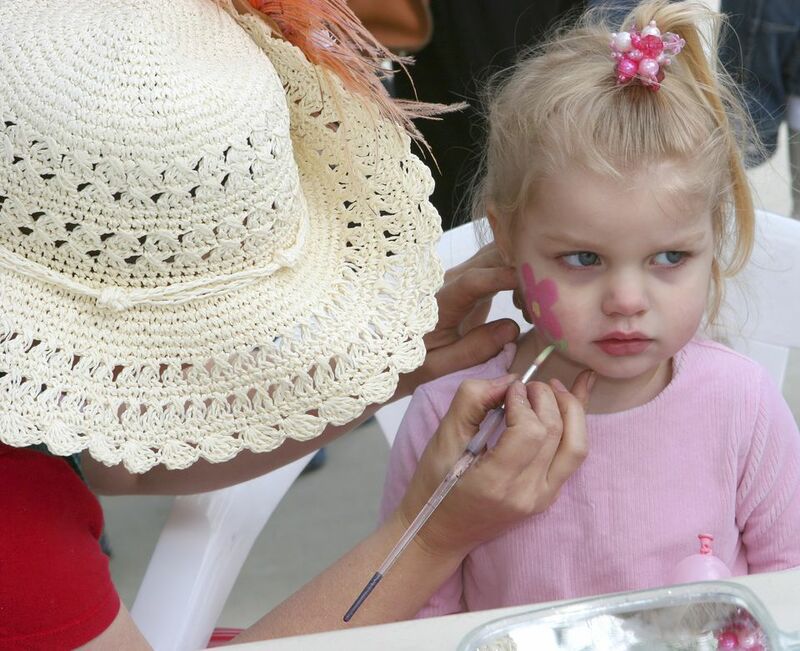 Admission to the 43rd annual May Fair Arts Festival in Norman is free. The event runs from 9 a.m. to 6 p.m. on Saturday, May 6 and from 11 a.m. to 5 p.m. on Sunday, May 7. The May Fair 5k is Saturday morning at 8:30 a.m.